Outdoor living has evolved beyond a simple patio or pool deck. 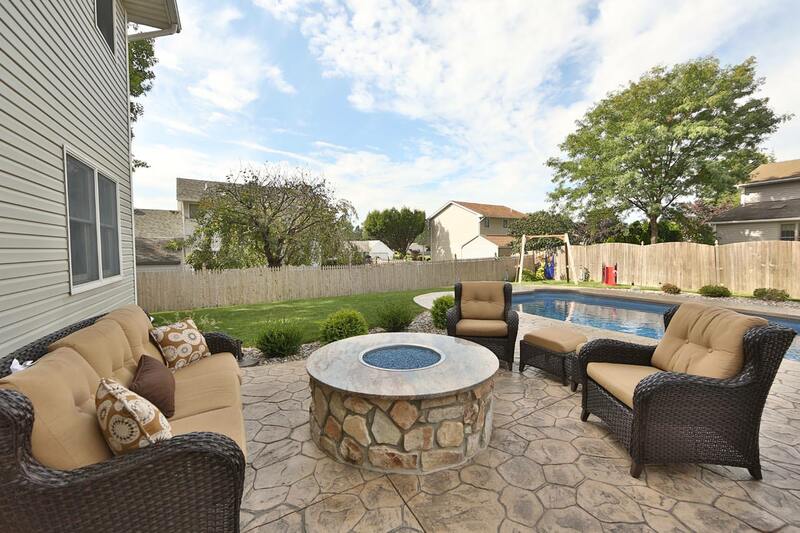 Your outdoor living dream may include an open-air kitchen, a fireplace or a fire pit, seating walls or a water feature. The combination of outdoor features is limited only by imagination. When we work with you to develop your outdoor environment, we’ll include features that enhance your natural landscape. 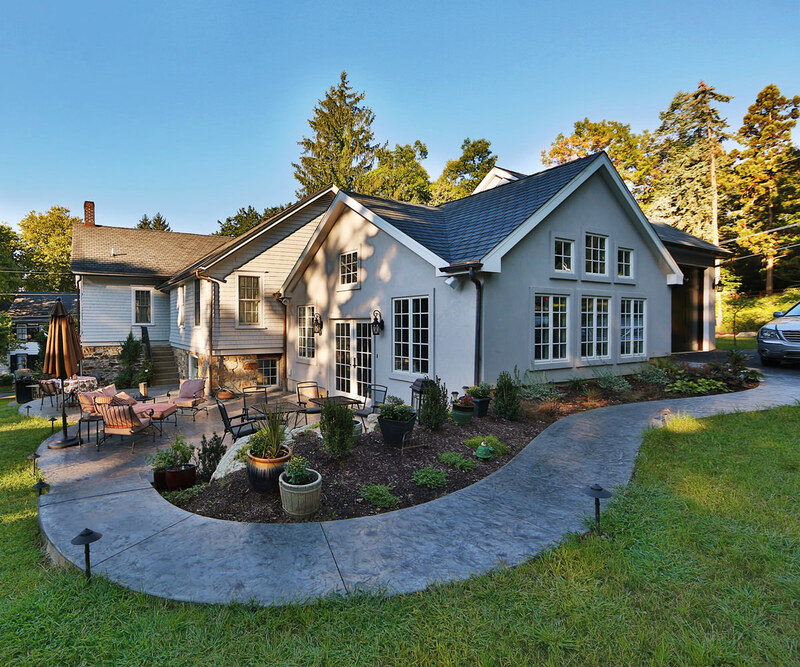 Using both natural stone and Techo-Bloc materials, we design and install outdoor features that provide your family with the perfect outdoor entertainment hub. 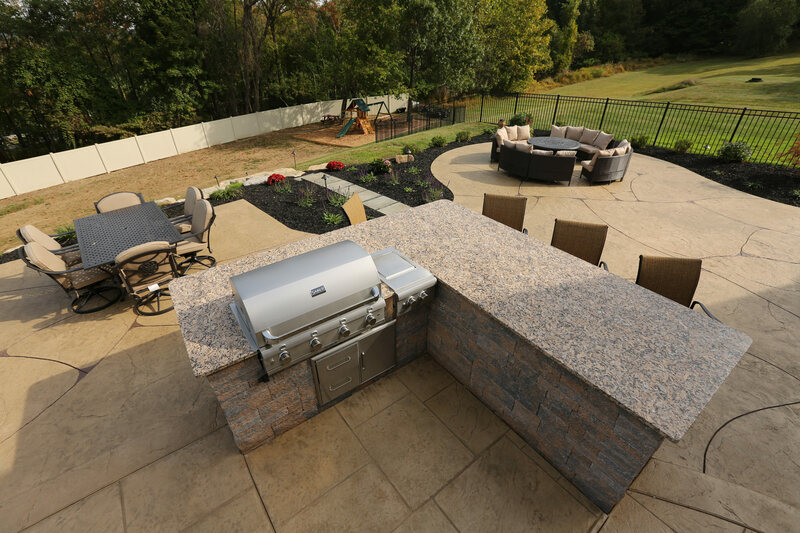 Signature Concrete Design specializes in creating custom outdoor kitchens and living spaces. 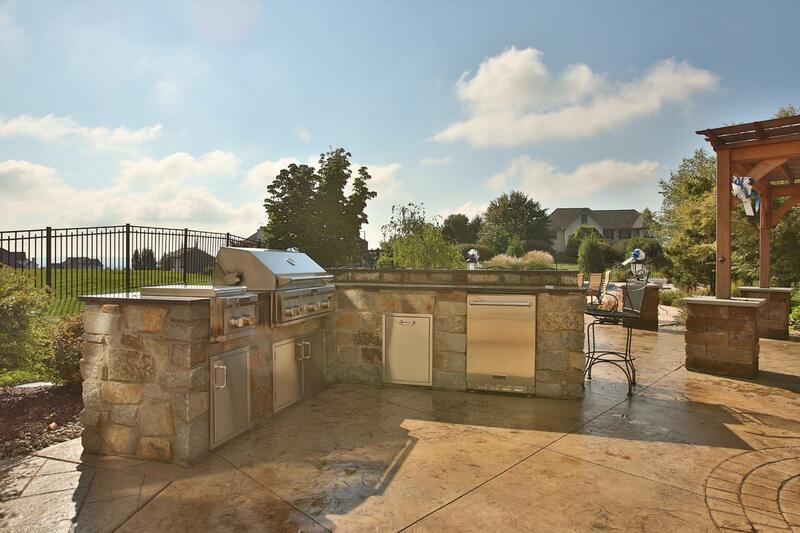 The ideal gathering spot for entertaining and family get-togethers, your outdoor kitchen has endless options – from food prep areaswith cabinetry and outdoor sinks, grills and gas range tops, refrigerators, ice makers and kegerators, to full bars, televisions and wood-fired pizza & bread ovens. 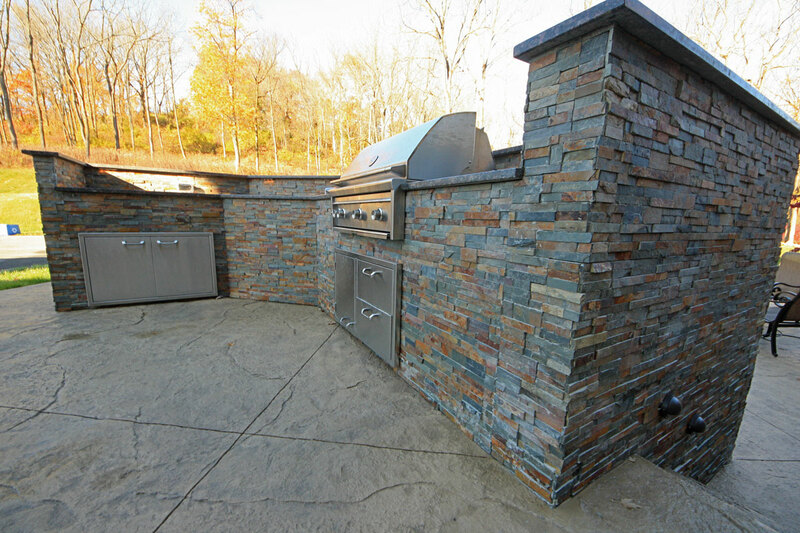 Outdoor kitchens can be customized to any yard size or budget. Bring us your wish list and we’ll design a beautiful and functional kitchen to meet your needs. Our designer strategically crafts your outdoor eating area to account for many elements you may not think about – the chef’s sightlines, your guests’ view, privacy, shade sources and even the typical direction of grill smoke. A focal point in any entertaining space is the elegance of an outdoor fireplace. The glow of a fire warms any gathering and a fireplace provides an anchor in your hardscape design. 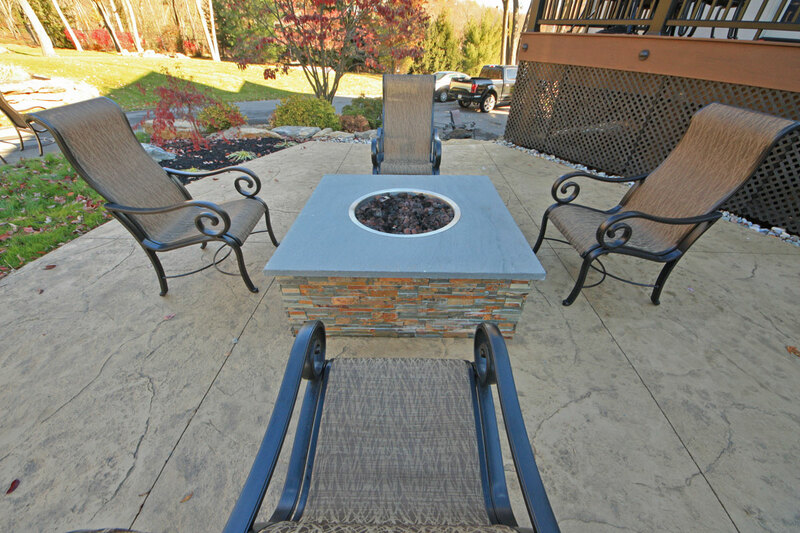 If you prefer a more casual fire pit, choose from circular or square design options. You may even want to include a curved sitting wall to provide plenty of seating while enclosing your fire pit space. Fireplace and Fire Pit design options are also limitless. You can choose gas or wood-burning. You can also choose from a wide variety of Techo-Bloc fireplace kits in many shapes and sizes. Or create a custom masonry fireplace with your choice of stone veneer. 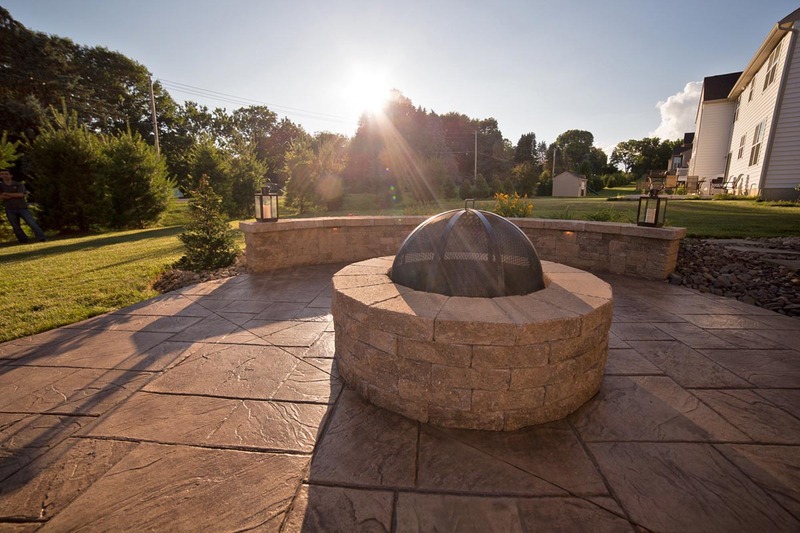 Fire pit designs can also be custom-designed with concrete pavers or with natural stone. Add a finishing touch to your outdoor living space with a decorative yet functional seating wall. Sitting walls provide permanent – and plentiful – seating for entertaining. Signature Concrete Design can shape seating walls to complement your design. Including built-in hardscape lighting into your walls delivers both safety and sophistication. Give your backyard the resort treatment with a water feature. Water features can set the tone as the centerpiece of a calming oasis or formal garden. Your outdoor living area’s water feature could be a simple fountain for relaxation or a lily pond to encourage wildlife visits. Choosing a water feature such as a fountain or waterfall can eliminate noise pollution and improve your air quality. You may also want to consider using a water feature for any wetland area of your yard – and transform it into a pond. From fountains, pools and ponds to streams, waterfalls and colorfalls, Signature Concrete Design can create traditional or modern water features. Bring us your outdoor living wish list! We believe in choosing the highest quality products to ensure your lasting enjoyment. 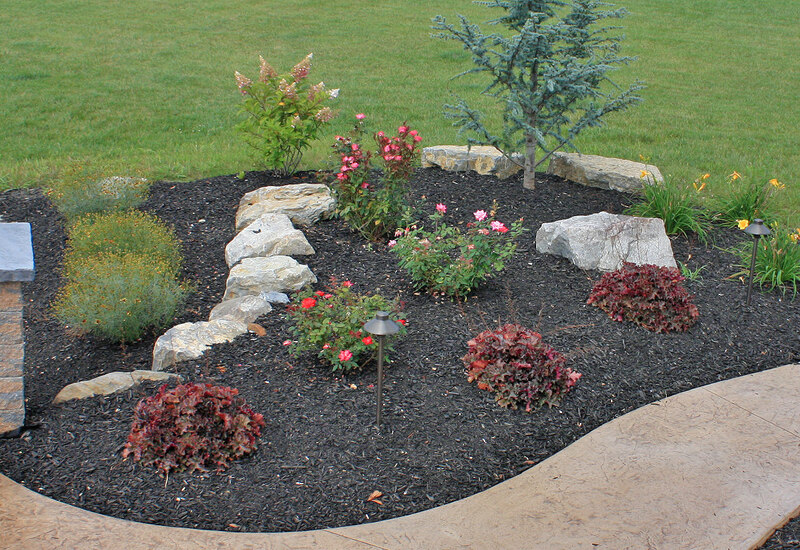 Our master craftsmen use the appropriate materials and products for your landscape. 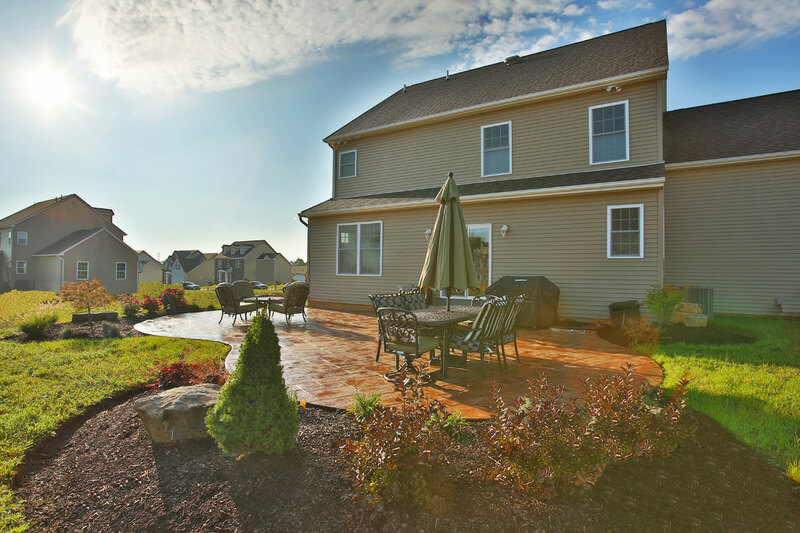 Let us turn your new landscape into your backyard retreat. Call us today at 610.923.5073.